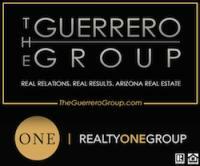 This Sunday-11AM to 3PM at Cielo Noche in Queen Creek! 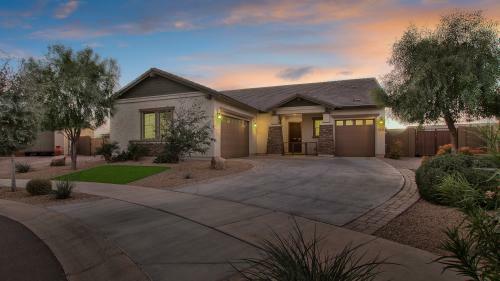 UNBELIEVABLE OPPORTUNITY IN QUEEN CREEK’S RESERVE AT CIELO NOCHE! 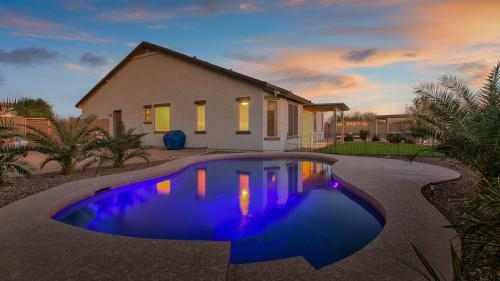 This Highly Upgraded Ranch inspired home, built on a 13,000+SF Premium Over-Sized Lot, is designed for family living. 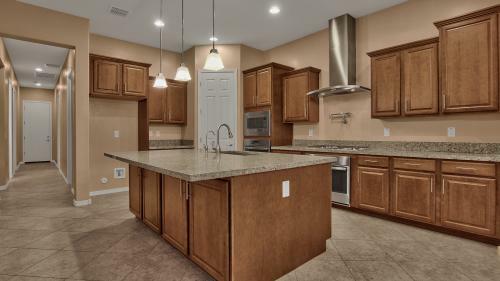 Entertaining family & friends will be a delight in this beauty with its perfect location within this exclusive gated community surrounded by greenbelt, parks & walking trials. 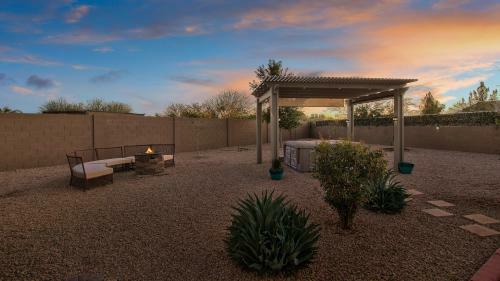 Enjoy total backyard serenity in your new resort style backyard paradise. 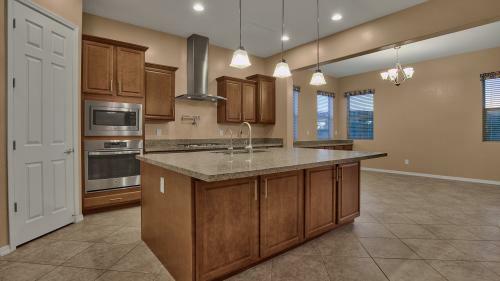 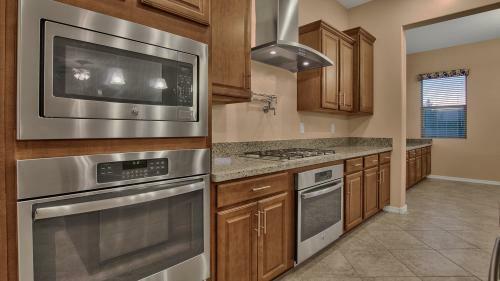 The heart of this home is a big beautiful gourmet kitchen that opens to dining space and a large great room. 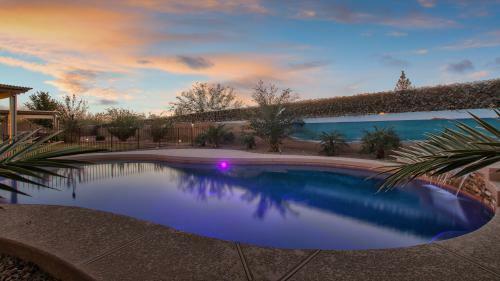 Step outside to the extended covered patio with pergola & professionally designed backyard featuring a heated pebble tech swimming pool complete with water features and energy efficient pool equipment. 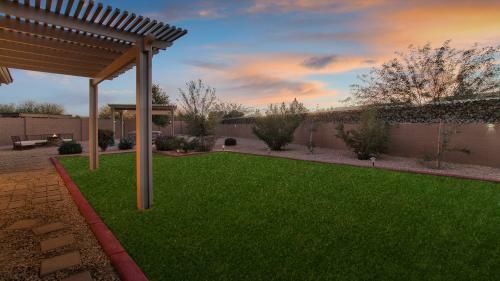 Other outdoor features include large grassy play area, additional pergola with paver patio, horseshoe pit, all surrounded by lush tropical landscaping with view fence overlooking greenbelt.